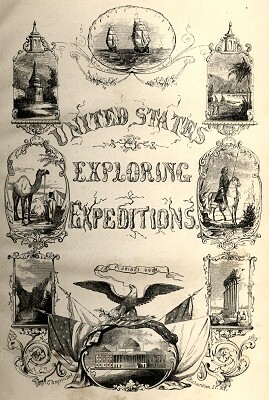 Wilkes/Jenkins : Sporting in the Surf, Hawaii and Kingsmill Islands, 1840-1853.
and an account of the expedition to the Dead Sea, under Lieutenant Lynch. Kerr, Doughty, & Laphamn, Detroit, 1853.
under the American, English, and French governments. T. Nelson and Sons, London, 1853 . Geoff Cater (2018) : Jenkins/Wilkes : Surfing in Hawaii and Kingsmill Islands, 1840-1853.